Calling all outdoor adventurers! Campers will be nature detectives as we explore the outdoors. 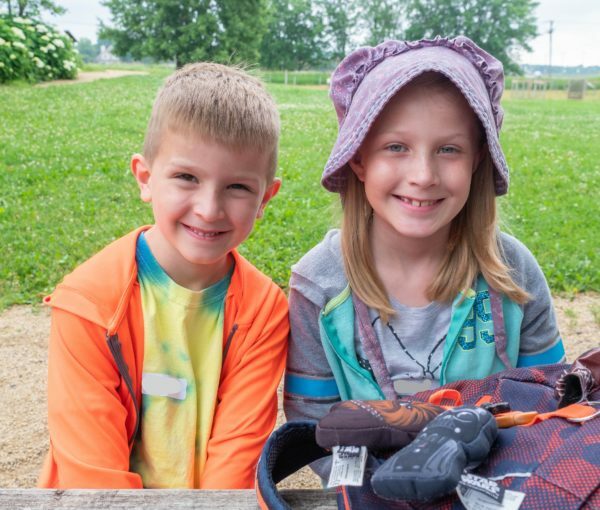 We will search for clues to tell us what creatures are living in the restored Gibbs prairie, eavesdrop on birds, inspect different kinds of leaves, and examine woolie bear caterpillars to investigate if they really can predict the weather. Campers will make works of art out of natural materials and be introduced to the Gibbs Farm animals! The mystery of history! Campers will be history sleuths as we explore the methods historians use to understand the past. Archaeology and primary source activities will reveal how some of this information can be uncovered. We will inspect the historic Gibbs Farmhouse and the one-room schoolhouse to make observations on how they might have been used. Of course, campers will get to say ‘hi’ to our friendly farm animals too!